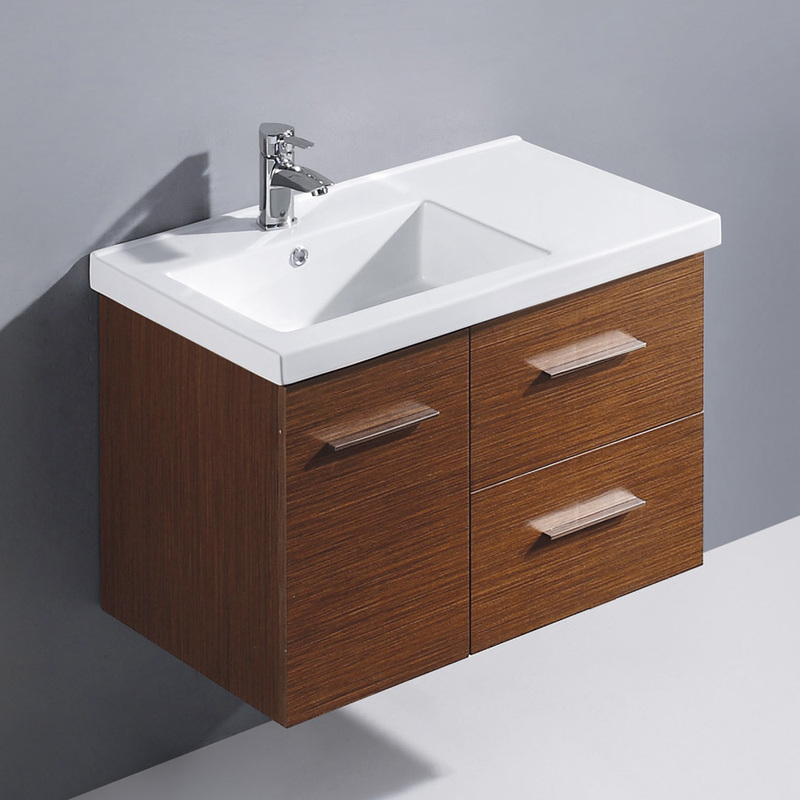 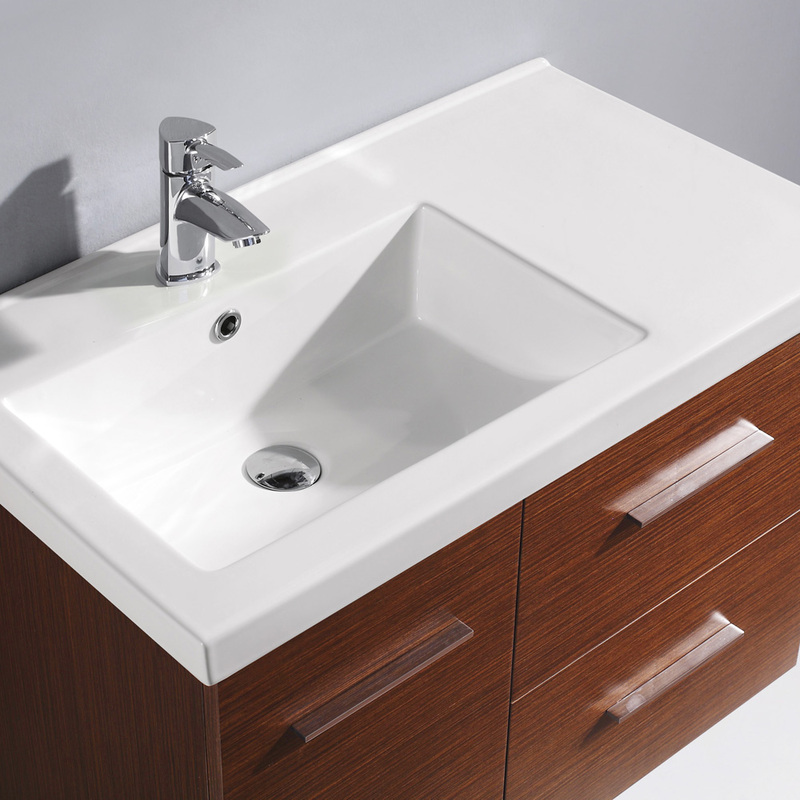 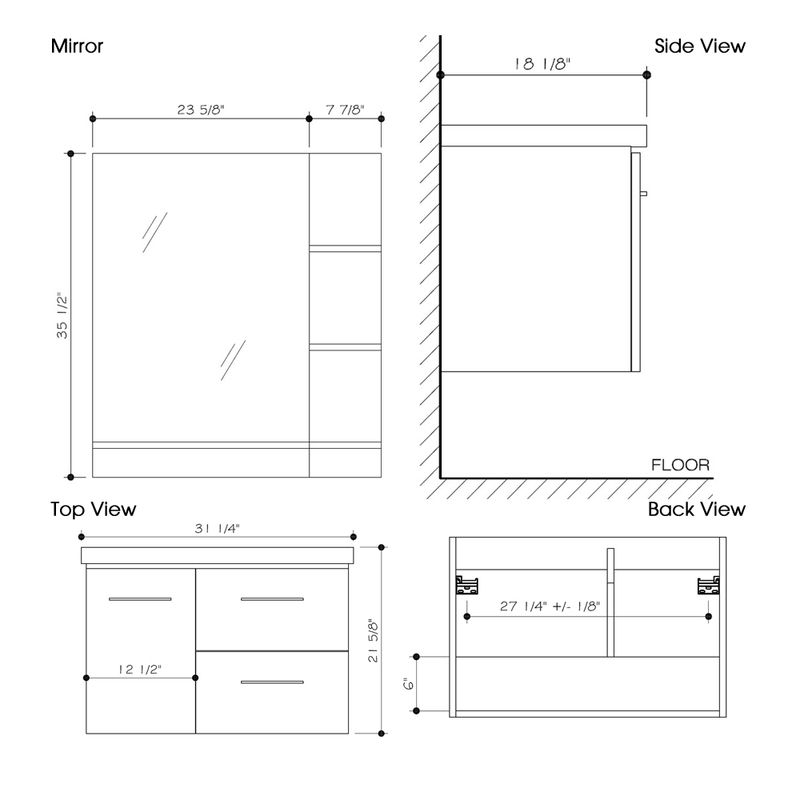 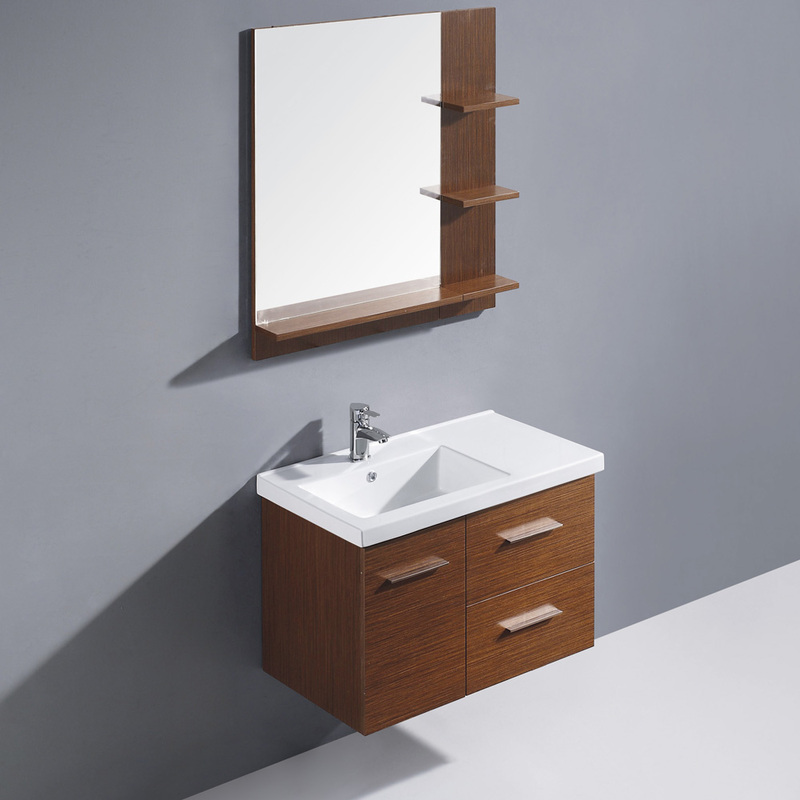 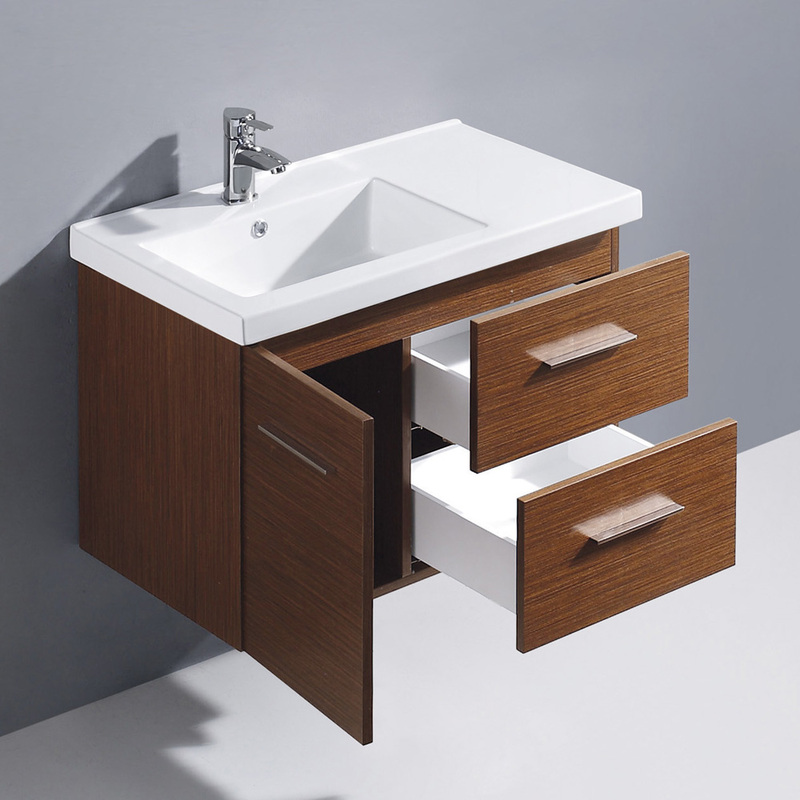 The 31" Moderna Wall-Mounted Single Vanity is a larger spin on the 24" design. 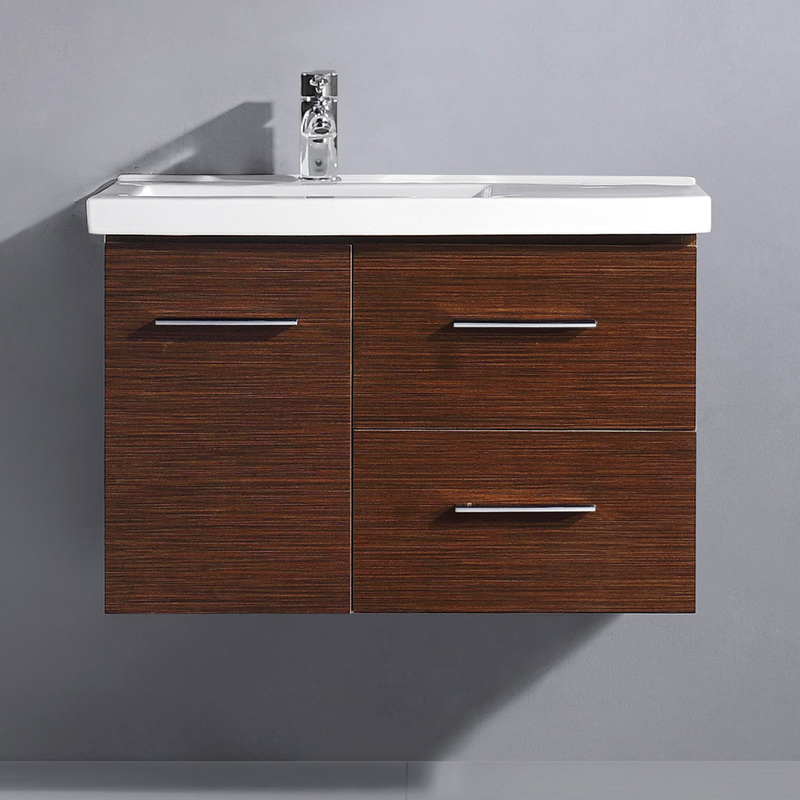 This lovely vanity will enhance the aesthetics of any bathroom with its beautiful Wenge finish with horizontal-grain texturing to give it an intriguing depth. 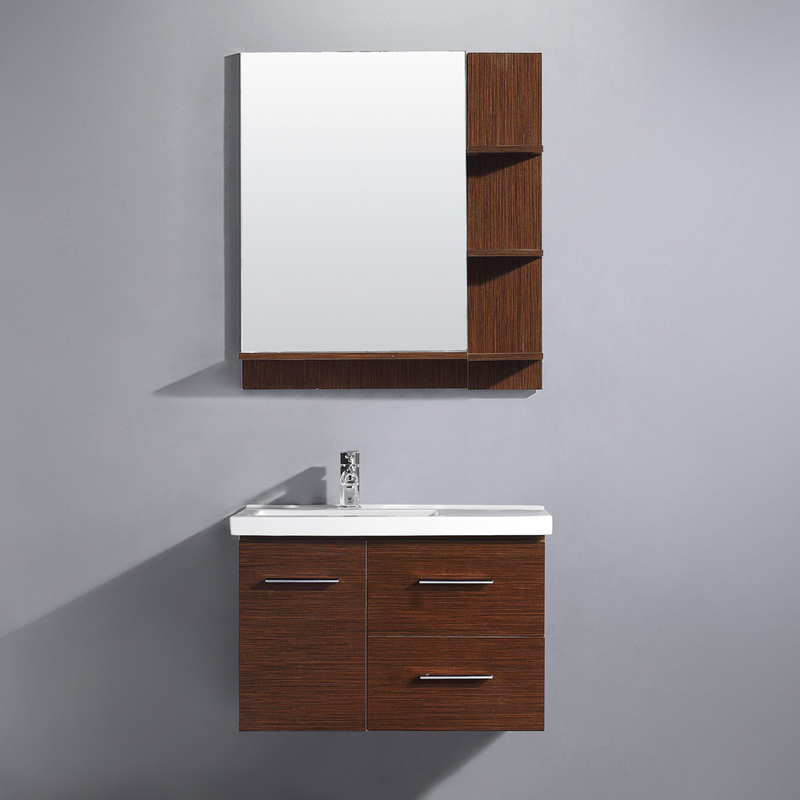 Its single-door cabinet and 2 storage drawers offer spacious storage room that is protected by soft-closing hardware and accented by beautiful chrome handles. 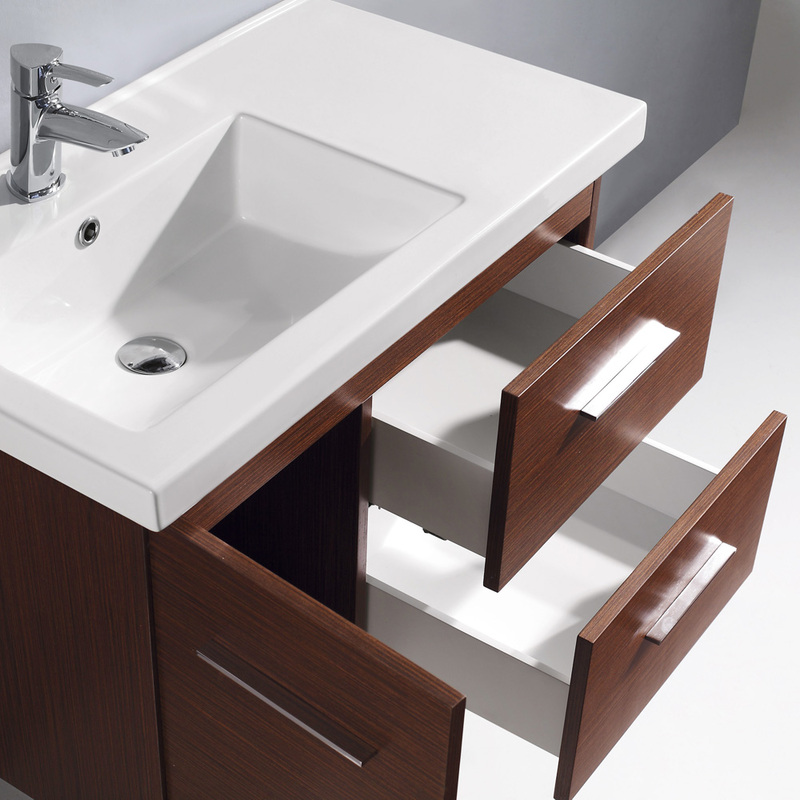 The top is made from a ceramic with an integrated sink and offers a side counter space for your sink-side necessities. 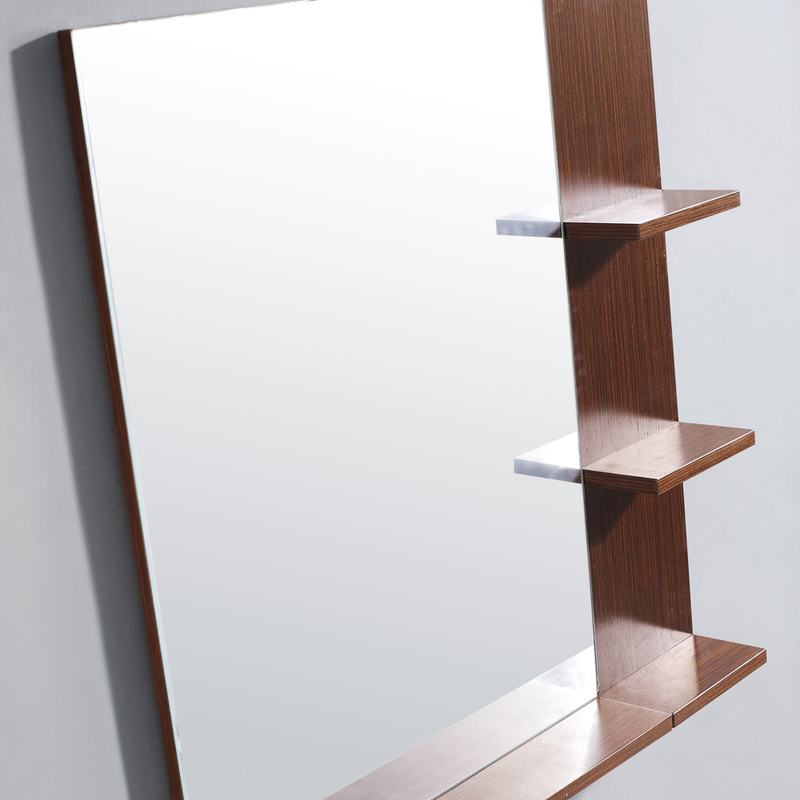 Give the Moderna a complete look with its matching mirror, featuring a beautiful side shelf design for more display space!